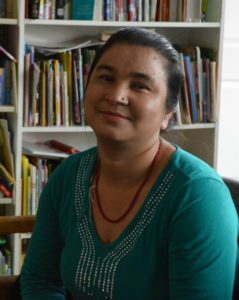 Radhika lived in a refugee camp in Nepal for over 20 years before arriving in Utah in 2010. Radhika loves Utah and the opportunities there are here. Both she and her husband have jobs and their three children have all acclimated successfully, and are doing well in school. She is very involved in RIC-AAU, and her whole family utilizes the services including case management, youth services, ESL, and job development.